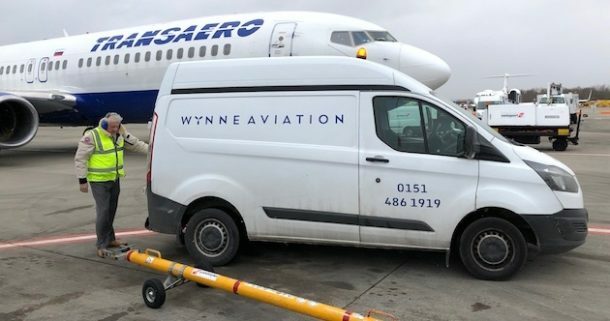 In March 2017 Wynne Aviation took over the operation of the bonded cargo shed and in February 2018 it became the dedicated cargo aircraft handler at the airport. Its experienced team can provide world-class cargo handling services covering passenger belly cargo and freighter cargo. It delivers international service standards efficiently and in full compliance with all local and global security regulations. Wynne Aviation’s 24/7 operation is accustomed to rapid despatch and priority loading to keep cargo moving when a logistical error occurs. In order to get cargo to the production line without delay it regularly handles a variety of aircraft, often unloading directly onto its own fleet of vehicles with delivery direct to the production line. No matter the size, the company’s priority is to keep its customers’ freight moving at all times. The company has a fleet of over 70 vehicles, and is able to offer daily links between Liverpool and all other UK airports. It also has a same day delivery service, providing dedicated vehicles driven by qualified and highly trained drivers to ensure freight arrives exactly when and where it is needed. Wynne Aviation has the capability of making unknown cargo known by x-ray. It is fully compliant with the DfT, so it can provide all of the relevant security documentation for the cargo. It also has its own duty deferment account with the HMRC, this means it can offer a duty deferment service to its customers.